I was at CVS last week and saw this display for new nail polishes from Revlon. I decided to try out two shades to see how I would like the formula and the chrome effect. There are 8 in the collection and I bought two. See more photos and swatches below! I really like these polishes. I've had problems before with Chrome polishes being really streaky and hard to work with. The formula was easy to apply and streaking did happen a bit but that was my own application and not with the formula. I did two coats on each swatch, could of done three. My favorite is the Pink Quartz. It seemed to color change more than Tanzanite. These polishes were quite expensive though, being $9.99 each but I only bought them because I had coupons. So unless you really love one color then buy it regular price. But I would use coupons or get them when they are on sale to save. 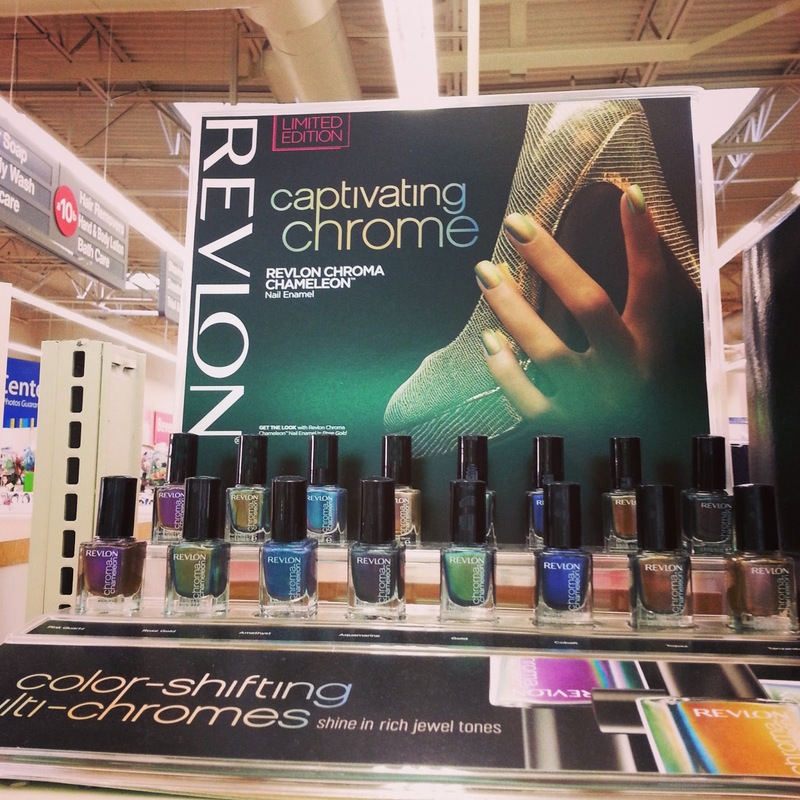 Revlon Captivating Chrome Nail Enamels retail for $9.99 each (will vary). These are limited edition. I grabbed these same two colors! Also with a coupon. I went back to look at another one again that had my eye, the green one, but these were disappearing fast and it was gone. I did end up with the blue Cobalt one although it really didn't look like it shifted color at all, it was so gorgeous I couldn't leave it there, well I really didn't want to come home from a shopping mission empty handed even it it wasn't exactly what I went for. I'm really hoping when I go back to CVS that they have a few more. The blue and the green are the ones I want! Revlon did good with these polishes. Groupon Deal with The Body Shop!